These days we are all looking for the brighter side, or the silver lining, to these challenging times. In my recent research on employee engagement, I ran across the article “Building Engagement in This Economic Crisis: How managers can maintain morale and profitability in their increasingly anxious work groups" by Jennifer Robison. The author suggests that just because the stock market or economy is in a downward spiral doesn't necessarily mean that your employees’ engagement has to follow suit. We all know the correlation of actively engaged employees to productivity, safety and overall profit. 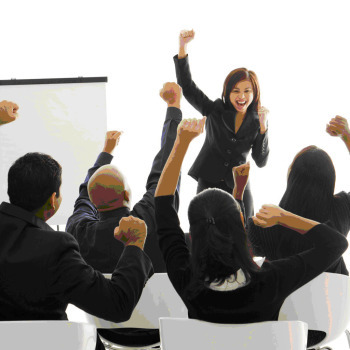 The key to organizations surviving these tough times lies in your employees. It is your employees that will add that extra value to your products/services and will keep your customers coming back now and when the recession is over. Your employees are the key to your organization’s survival. Employee engagement won’t happen all by itself. As a leader, your role is critical. History shows that during difficult times people can and will step up and face difficult challenges. Have conversations with your employees and let them know a true picture as to your organization’s situation. Even if their jobs are not in jeopardy, they probably know others that have been laid off. Let them share their concerns and fears. Have them brainstorm what they personally can do to work towards the company's vision during this difficult time. Be clear as to your expectations of them and be sure to give them recognition when expectations are met or exceeded. What you will find is when everything else seems to be turning down, your employees will rise to the occasion and your organization will be even stronger on the other side of this recession.